Sony have just introduced their new 4K Blu-Ray player the UBP-X1000ES and its a real stunner. A worthy replacement for the (sadly) discontinued Oppo range. We have one in our showroom and we’re delighted that it can also stream 4K movies from Netflix, and play Amazon Prime, BBC i-player and many more services. A real winner at £749 ! The VPL-HW56ES is a fantastic option for movie lovers who want an incredible cinematic experience at home, far beyond the reach of TV. It’s packed with Sony’s latest technology, including Reality Creation and advanced SXRD panels for an incredibly sharp, crystal clear picture. With 1,800 lumens colour brightness and a contrast ratio of 120,000:1, you can enjoy your favourite films at their best, in 3D or 2D. Bright Cinema and Bright TV modes also ensure optimum brightness and superb, rich colour quality. The VPL-HW56ES includes our PrimeSupport package: that’s 3-years projector and 1-year (or 1,000 hours) lamp cover. If you experience a problem, there are no costs, just fast, professional support. Bright 1800 lumens, Native 4K and 3D, 350,000:1 contrast ratio, 3 Years Prime Support, Electric Lens shift and zoom, SXRD Panels with Motionflow, 3d Glasses optional. 4K is the very best the big screen can deliver. 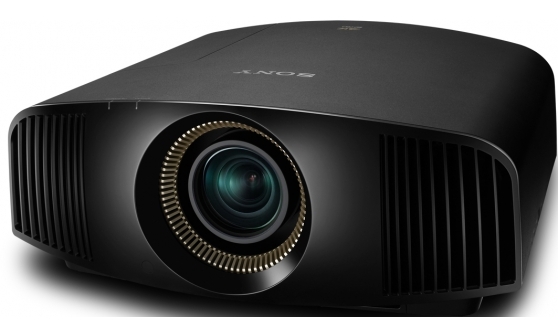 The VPL-VW550ES Sony projector gives you that very same, fully immersive cinema experience, at home. Incredible 4096 x 2160 resolution pictures and an exceptionally high dynamic contrast ratio of 350,000:1 produce details so stunning, you may never leave the house to see a movie again. While more and more native 4K material is becoming available, our Reality Creation technology means you can enjoy your current 2D and 3D discs, upscaled for an incredible 4K experience. You’ll get the very best from your favourite movies and notice even more detail than before – even in 3D. The VPL-WV550ES includes our 3-year PrimeSupport package at no extra cost, as well as 1-year (or 1,000 hours) lamp cover. 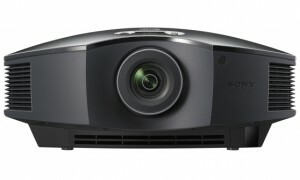 Sony Projectors have one of the best warranty packages going.